I think the title for this post says it all. It all started when I began researching some wedding necessities - venues, caterers, that sort of thing. I started to get just a little bit stressed out. I reminded myself that the goal in all things wedding is JOY. So to ease the stress, I did a search for the ultimate stress-reducer. 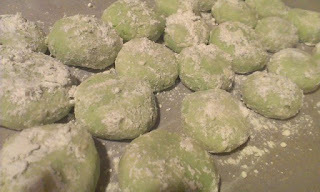 I found a recipe for Italian Wedding Cookies. 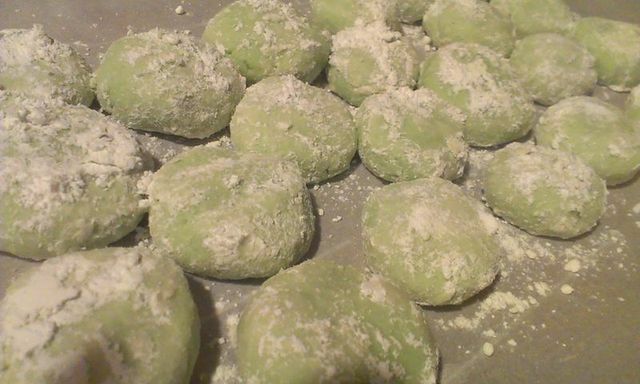 I modified it only slightly, and with the help of my sous chef, or in this case sous baker (AKA The Fiancé - who, incidentally, happens to be 25% Italian and thereby makes creating and devouring these cookies so much more legitimate and possibly a cultural celebration of our love, amiright? ), whipped up a batch of cookies. Enough for us to enjoy, and enough to package up to give his parents, since my future in-laws were coming through town and we met them for lunch today. Cookies. Made with love. 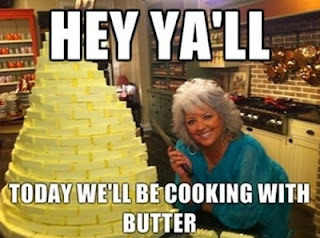 And a lot of butter. Eat them and think, yes - they really should call them honeymoon cookies instead of wedding cookies, because DAMN.